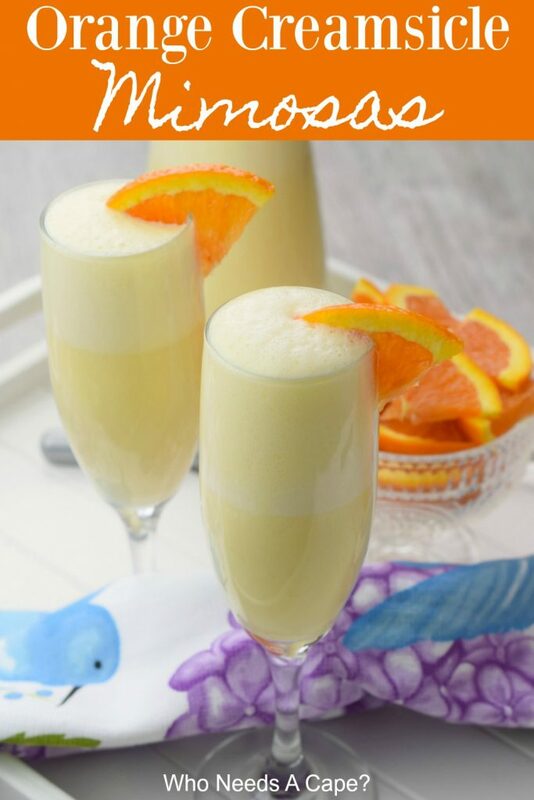 Orange Creamsicle Mimosas - Who Needs A Cape? 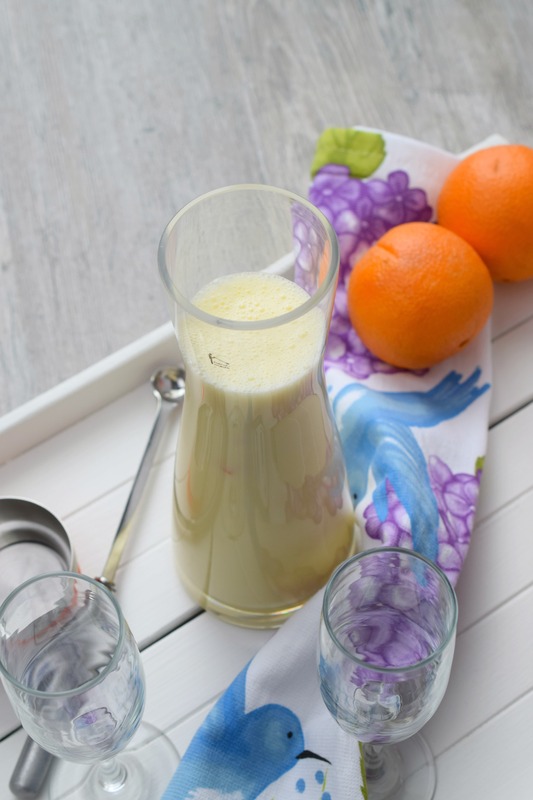 Add a pitcher of Orange Creamsicle Mimosas to your brunch menu, you won’t regret it. 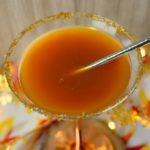 Creamy, fruity and bubbly, they make the perfect cocktail for sipping. 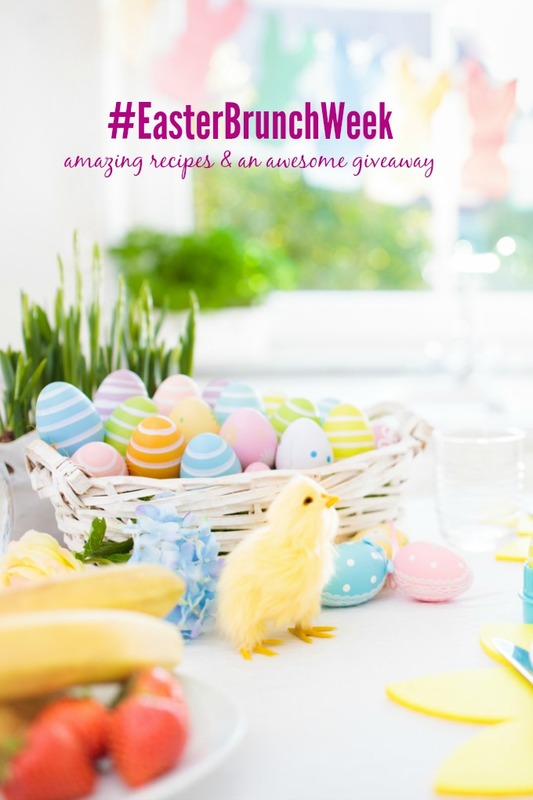 Oh boy oh boy, I’m so excited about today’s recipe and really hope you are ready for a boozy addition to #EasterBrunch Week. It took long enough, didn’t it? 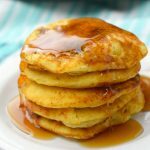 I mean boozy brunches are just the best, right? 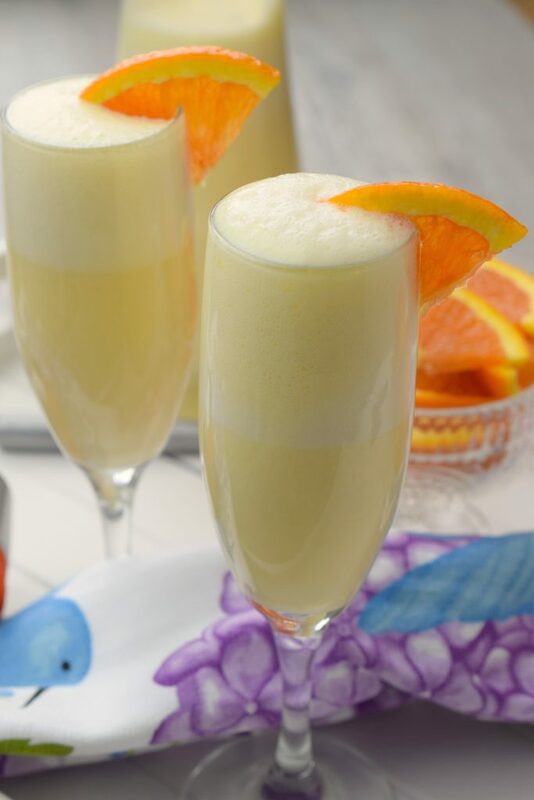 Today we’re bringing out the liquid deliciousness in the form of Orange Creamsicle Mimosas. 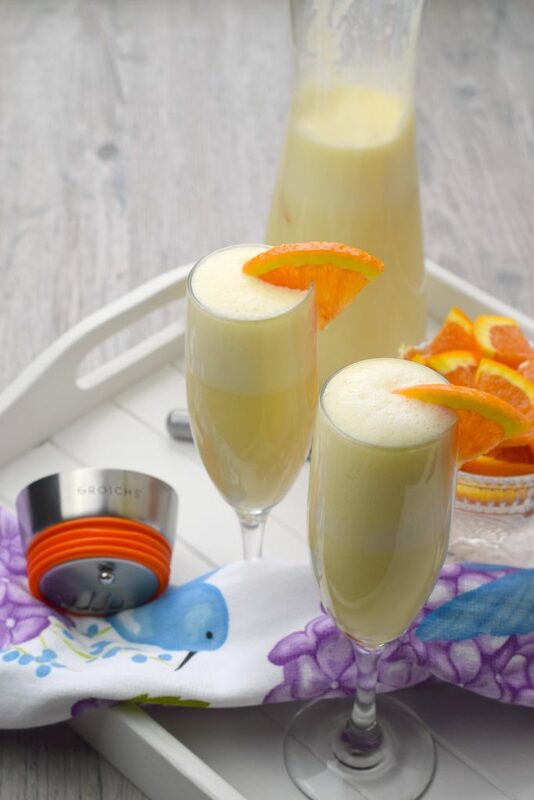 Every brunch deserves a great beverage, and mimosa and brunch are BFFs. 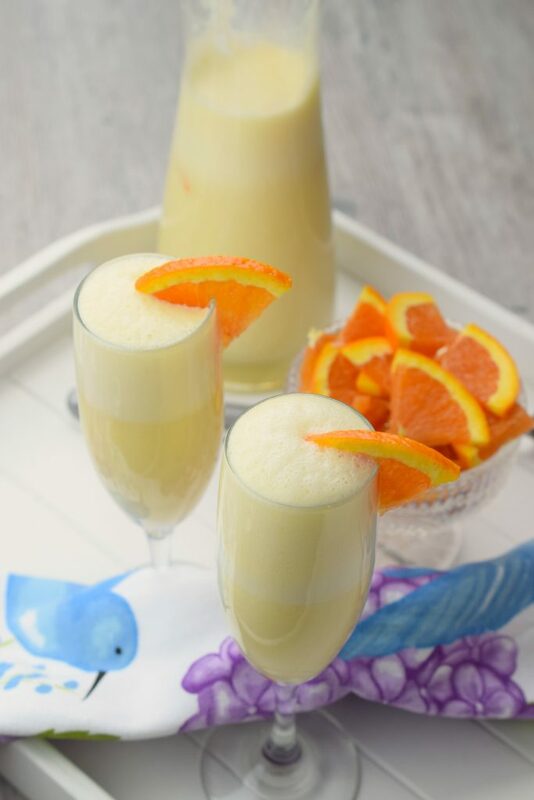 Orange Creamsicle Mimosas are so simple to make, you’ll have a pitcher in no time flat. 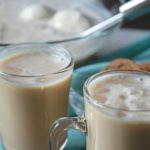 Trust me you’ll probably end up having a couple of these tasty drinks, it is brunch and it is definitely a time to just relax and enjoy. 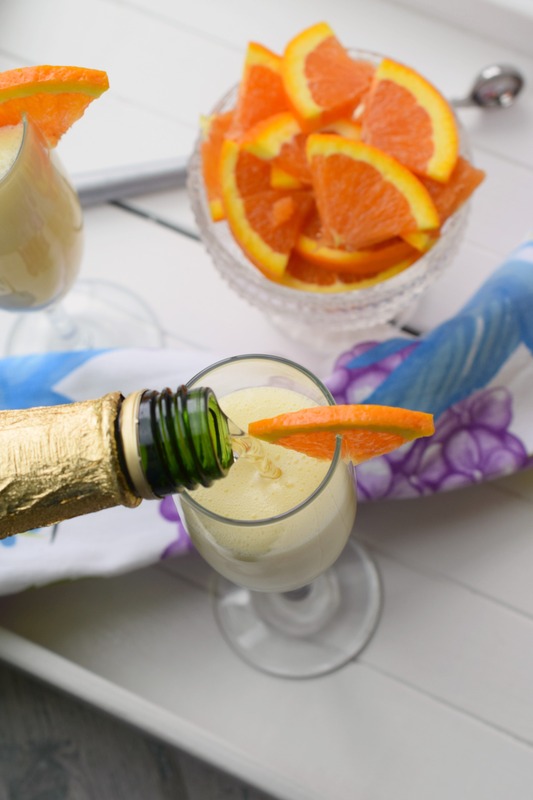 The creamy orange base combines so wonderfully with a little bubbly. 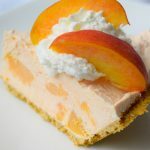 Simply whip up the base in a blender, fill a flute halfway and then top with your favorite bubbly of choice. I filled up a gorgeous decanter from Grosche with the base mix. 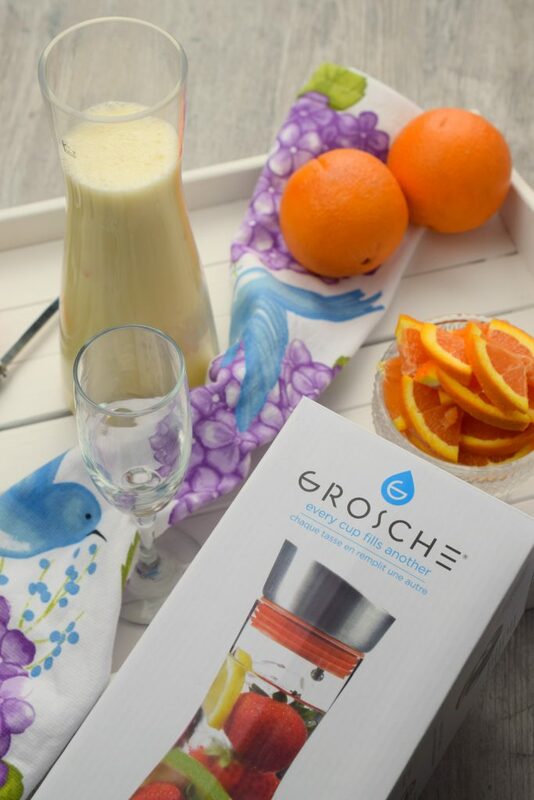 In reality, this beautiful Grosche glass decanter is a Water & Sangria Infuser (also great for brunch) but I knew it would be great for holding the fruity base mix. I simply poured it directly from the blender into the carafe. 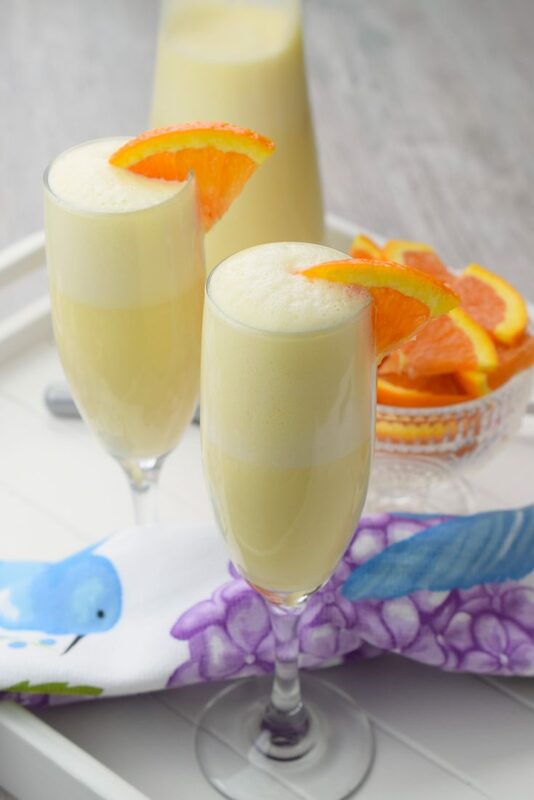 What do you need to make Orange Creamsicle Mimosas? 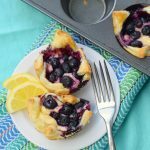 You can easily half the recipe for a smaller batch. Or double the batch, no judging. 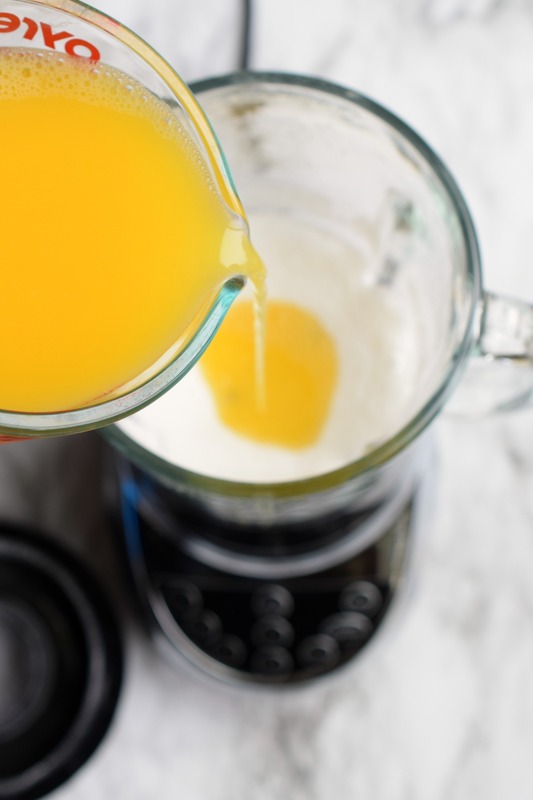 If preparing the base mix ahead of time, refrigerate and stir prior to pouring. Add in some fresh orange zest if desired. Feel free to reduce the amount of sugar. 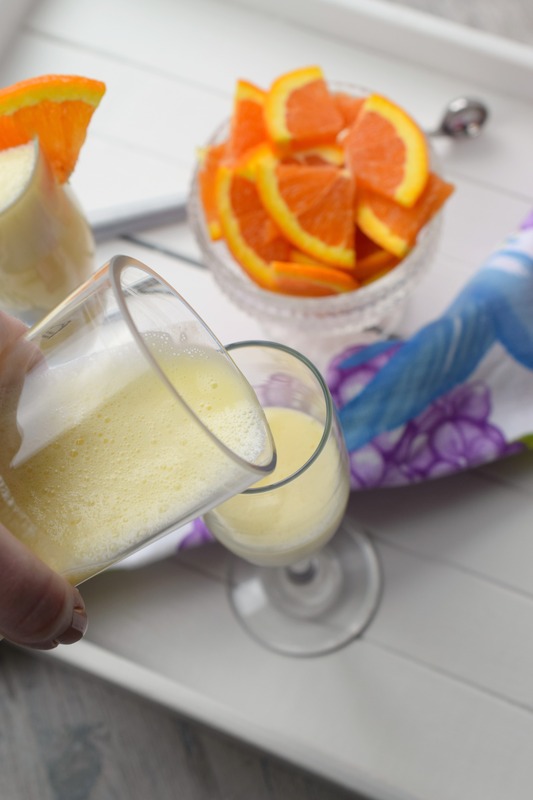 Add a pitcher of Orange Creamsicle Mimosas to your brunch menu, you won't regret it. 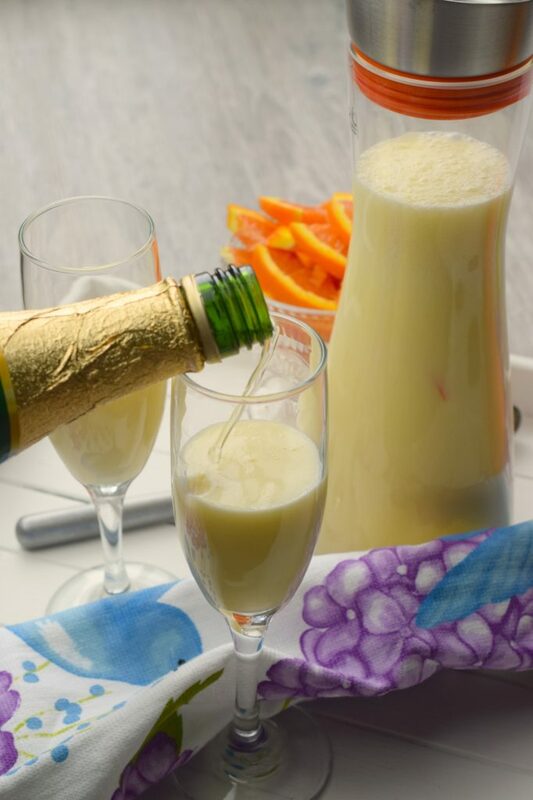 Creamy, fruity and bubbly, they make the perfect cocktail for sipping. 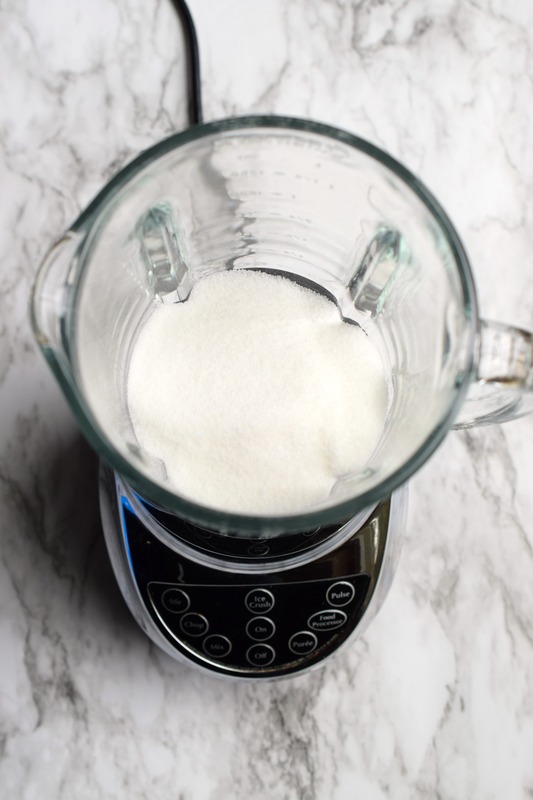 Place sugar in blender with lid on, blend 30 seconds to make sugar "super fine". Add in half and half. 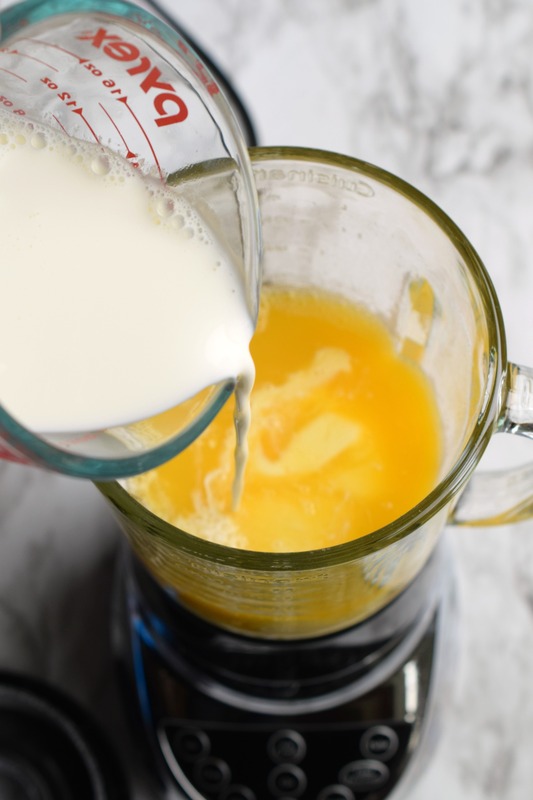 Place lid on blender and blend until mixed. Pour into carafe for serving and refrigerate if not serving immediately. Fill glass halfway with mixture. Top with sparkling beverage of choice to top of glass. Garnish with orange slices if desired. Use bubbly beverage of choice: champagne, sparkling wine or non-alcoholic sparkling grape juice. 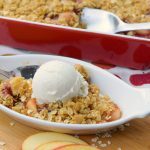 Find this recipe and more at Meal Plan Monday and the Weekend Potluck!